2018 SSFL & Inter-Col Thread. CARAPICHAIMA East Secondary attacking midfielder Josiah King has won the inaugural First Citizens Secondary Schools Football League Player of the Month award. King started the season in ripping form and won the judges approval to take the prize for September. The First Citizens Group has been a proud sponsor of the SSFL for eight consecutive years. Taking the Coach of the Month award for September was Trinity College coach Kenwrick Elie. Re: 2018 SSFL & Inter-Col Thread. WATCH: Caston Cupid visits defending SSFL Premier Division Champions, Presentation College San Fernando, ahead of their potentially title deciding match against San Juan North Secondary. Tyrese Coop­er scored the win­ner for Spey­side High School to keep them in the race for the To­ba­go Zone ti­tle in the Girls Cham­pi­onships of the Shell/First Cit­i­zens Sec­ondary Schools Foot­ball League. Spey­side eked out a nar­row win against Pen­te­costal Light and Life on Thurs­day at the Sig­nal Hill recre­ation ground, thanks to Coop­er, who helped her team hold on to the sec­ond spot with 24 points from 10 match­es, from eight wins and two loss­es in the two-team race for the top po­si­tion. The cham­pi­on team will ad­vance to the Big Five com­pe­ti­tion. Lead­ing the zone is the un­beat­en Sig­nal Hill team with 27 points from nine match­es. The leader claimed an­oth­er huge win that af­ter­noon over Scar­bor­ough Sec­ondary, 7-0. Ce­line Lo­raine again was on the score­sheet for Sig­nal Hill with a pair of goals so too De­r­isha Bris­tol (2) while their team­mate Sh­er­nelle Os­bourne, Avonelle Lo­raine and Twin­kle Thomas scored one each. In the oth­er match, host Good­wood bat­tled to a 3-3 draw with Bish­op's High at Good­wood recre­ation ground. In a resched­uled match played in the North Zone, vis­it­ing team Holy Name Con­vent de­feat­ed Diego Mar­tin Cen­tral, 6-3 but the re­sult had no bear­ing on the top po­si­tion as Bish­op Anstey, Port-of-Spain has al­ready booked its place in the Big Five com­pe­ti­tion, fol­low­ing the pre­vi­ous rounds of match­es. The North win­ner will meet Cen­tral cham­pi­on Cara­pichaima East in the quar­ter-fi­nals. The win­ner will progress to play South win­ner Pleas­antville Sec­ondary in the semi­fi­nal round while the cham­pi­on teams from the East and To­ba­go zones will meet in the oth­er semi­fi­nal. The semi­fi­nal­ists will be fi­nalised this week af­ter the zones' fi­nal round of match­es. Pres, San Juan battle for SSFL lead. It will be a bat­tle for the lead­er­ship po­si­tion in the Pre­mier Di­vi­sion of the Sec­ondary Schools Foot­ball League (SS­FL) as de­fend­ing cham­pi­ons Pre­sen­ta­tion Col­lege (San Fer­nan­do) and San Juan North Sec­ondary col­lide at the San Juan school ground from 3:40 pm to­day. Both teams are on 25 points, hav­ing played un­beat­en so far, but with 'Pres' en­joy­ing the top spot based on a su­pe­ri­or goal dif­fer­en­tial, coach Shawn Coop­er's men will be re­quired to work twice as hard, play­ing away against the in-form San Juan. Yes­ter­day Coop­er made it clear his plan is to get three points. He is pre­dict­ing a tough con­test against the Bourg Mu­la­tresse men who have an un­blem­ished record play­ing at home. "We need to be tight, at both the de­fence and in the at­tack, as well as lim­it the er­rors. They have got a num­ber of good play­ers, Boyce and com­pa­ny who have been at the top of their game, so I know they will be com­ing at us to­day," Coop­er said. Coop­er, who has just re­turned to the south­ern gi­ants, from his un­suc­cess­ful stint with the T&T Women's team at the CON­CA­CAF Women's Cham­pi­onships in the Unit­ed States, said in spite of his team's un­beat­en run to date, his men will not be over­con­fi­dent go­ing in­to the en­counter. His main con­cern, how­ev­er, is that the weath­er con­di­tions will pro­vide for a good con­test. Mean­while, third on the stand­ings with 22 points, Na­pari­ma Col­lege will have the op­por­tu­ni­ty to take sec­ond when they take on Trin­i­ty Col­lege Mo­ka at Mar­aval. A win for 'Naps' as they are com­mon­ly called, will put them on 25 points, and pos­si­bly in­to sec­ond on the chart, but on­ly if there is a win­ner in the San Juan and Pre­sen­ta­tion match. A share of the points, how­ev­er, will keep the Na­pari­ma boys at third while both teams will con­tin­ue to rest at the top. Fourth place Trin­i­ty Col­lege East, on the oth­er hand, will be at­tempt­ing to close the gap on the lead­ers. With just 14 points to its name af­ter nine match­es, the east­ern­ers will to­day trav­el to Ser­pen­tine Road, St Clair to face St Mary's Col­lege at home. And not too far away at QRC grounds, the home team will have a date with the mid­dle of the ta­ble Cara­pichaima East Sec­ondary. All match­es be­gin at 3:40 pm. I watching the clips of the colleges games in the rain. Water-logged fields, puddle of water in front of the goal, all that brown muddy water after a while both teams look like they have on the same uniform. The crowd around the field. All them who want to interfere will schoolboy for the sake of the dysfunctional pro-league could go you know where. School football is where you develope the passion for the game. Inter-col is the best bar none. And I'm watching wondering whether the SSFL, the schools and government could start thinking about sophisticated drainage systems sourced from a common revenue generator. Despite the rite of passage thing, the football would improve with grass and enhanced absorption from the surface. Asylum. I think you just come from the "mad house", you know. Them schools just glad that they have a rectangular piece of dirt with some grass on it to called that their home field. Bishop's continue to struggle in SSFL. ONLY one match was played yesterday in round 11 of the 2018 Secondary Schools Football League Premier Division, owing to the rain. All six matches in Trinidad were postponed, including the giant clash between leaders Presentation College, San Fernando and second-placed San Juan North Secondary. The only match played was between St Benedict's College and Bishop's High School in Tobago. Last-placed Bishop's continued their poor run, as St Benedict's came from behind to win 2-1. Bishop's only have one point for the season and have lost 10 of their 11 matches. With the win, St Benedict's moved from eighth to fifth place in the standings. It has not been announced when the postponed matches will be played. St Benedict’s edge Bishop’s for vital win. Keon Boney and Justin Chu Foo were both on tar­get as St Bene­dict’s Col­lege came from be­hind to beat Bish­op’s High 2-1 to con­tin­ue its climb to­wards safe­ty in the Shell/First Cit­i­zens Sec­ondary Schools Foot­ball League Pre­mier Di­vi­sion on Sat­ur­day. With all the match­es card­ed for Trinidad post­poned due to the in­clement weath­er, all fo­cus was on the lone con­test in To­ba­go with both teams ea­ger to pick up cru­cial points. Bish­op’s High, yet to get a win this sea­son was first to strike through Do­minique Lyons in the tenth minute. How­ev­er, Boney drew St Bene­dicts lev­el in the 20th to send both teams in at the half-time in­ter­val at 1-1. The vis­i­tors then grab the even­tu­al match-win­ner in the 59th-minute cour­tesy Chu Foo, for a fourth win in nine match­es this sea­son, to move to 14 points, lev­el with Trin­i­ty Col­lege East and Trin­i­ty Col­lege Mo­ka. Mean­while, Bish­op's stayed bot­tom of the ta­ble with one point and head­ed to­wards rel­e­ga­tion back to the To­ba­go Zone in the Cham­pi­onship Di­vi­sion af­ter on­ly one sea­son in the top flight. Match­es will re­sume on Wednes­day. MAJOR rain in TT over the last few days. More in three days than for the usual whole month of Oct. so that might have been an extreme case you saw. Yes vb, is more rain than usual. The irony is that we should have infrastructures to collect a fraction of that water for the use if and when the opposite happens of a very long dry season. But we still "developinig". And tell Asylum I only kidding, calling him loco about football and playing fields being better graded and maintained for these kinds of eventualities. But honestly the slushy field bring back great memories. On most days we didn't shy away from playing in a modest amount of rain. But ah have to say ah hated those mud pits in de goal mouth. Too many times it wasn't the goalkeeper who denied you, it was de mud that halted the ball's progress over the line. Yuh had to learn to play in those conditions and the conditions seemed to favor defenders and injuries. As a rule, hard ground sunny days were for dribbling and expressive and expansive play. Wet days were for passing, running in heavy tugs in blinding rain striking yuh face seemingly at a 45 degree angle, brute physical force and being economical in possession. At least for ordinary players. There are some players who played indifferent to sunshine or rain and were always able to influence games. Despite the memories, I would trade them for a proper surface. Pleasantville trounce Fyzabad in SSFL Girls South Zone. PLEASANTVILLE Secondary have scored one of the biggest victories in the 2018 Secondary Schools Football League (SSFL) as their girls team crushed Fyzabad Anglican Secondary 16-0 last Tuesday in the South Zone of the Girls Championship competition. Alexia Ali led the way with seven goals while Chrissy Mitchell and Jhaney Simon struck a double each. There were goals also for Latifha Pascall, Celine Hypolite, Jasandra Joseph, Amelia Thomas and Kayla Garcia as Pleasantville remained at the top of the South Zone table on a maximum 18 points from six matches. They are 12 points ahead of second place Point Fortin Secondary who blanked St Joseph’s Convent, San Fernando 8-0. Ternia St Clair led the scorers with five goals, and the trio of Kelicia Ramchandar, Queen Jacent and Valeen Frederick scored one apiece. Bishop’s Anstey Port of Spain lead the North with 27 points from 10 games following their 2-0 win over St Joseph’s Convent, Port of Spain while Signal Hill Secondary are on top in Tobago with a maximum 24 points from eight matches. In the East, Five Rivers Secondary lead the table with 25 points, just three ahead of second placed Bishop’s Anstey East. Five Rivers defeated St Augustine Secondary 9-1 last Tuesday. Carapichaima East Secondary lead the Central Zone with a maximum 15 points from their five games. Jordan “J-man” Riley, who plays on the right wing for defending Secondary Schools Football League (SSFL) Premier Division champions, Presentation College (San Fernando), believes consistency and persistence will be key to his school defending their title this season. How did you get into playing football? My dad, Roger Riley, played a big part in me playing football. He played for St Benedict’s College back in his time. Why are you called ‘J-man’? I got the nickname by accident. I would say when one of my friends jokingly said to me one day, ‘J-man what we doing later boy?’ From that day, the name “J-man” just stuck with me and everyone started calling me by that name. I’ll say my athletic ability and stamina on the field as well as my dribbling and crossing techniques. Also, keeping fit all the time; everyone always says ‘J-man’ is the fastest on the team. Lionel Messi. He is very hard-working like me. He is fit and he is one that I always look up to. Even though he may not always be the biggest player in the field, he always wins his one-on-one battles. Who was your most important coach/coaches and why? I must say the coach of the Presentation College team, coach Shawn Cooper. I have been training with him for the past six years and at the under-14 and under-16 level, he was the one who saw the potential in me and pushed me. He was the person behind me to push forward. Well I must say the best moment was last year winning the Secondary School Football League was one of the biggest accomplishment for me. The worst moment I’ll say was reaching the National Intercol Finals but we did not win the title, we came second which was back in 2016. It was very heart-breaking. In my free time, I enjoy playing video games or liming with my friends. Football is life so we will play FIFA and watch football. Most people say that I can only play football but what they do not know is that I also play the piano. My parents sent my sister, Mya, and me to St Cecilia’s Music School in South Oropouche when I was ten years of age. We placed second in the piano duet, junior category at the Trinidad and Tobago Music Festival back in 2010. As a person, I am hard-working both on and off the field, helping with house chores. Also, I am very funny person because I am always telling jokes and everyone who limes with me always will have a good time. 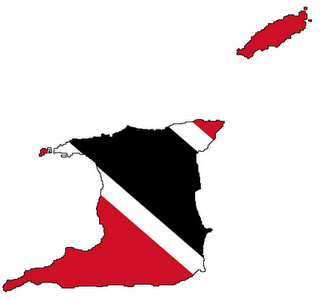 When I finish school here in Trinidad, I hope to further my studies in the US with a university to pursue Sports Management or Sports Physiotherapy. Or, every footballer’s dream is to become a professional footballer; so hopefully to get a footballing contract with a professional club. Success as a player for me will be playing on the international stage representing my country at the senior level at a big football tournament such as the World Cup and becoming a professional footballer for a professional club. Also, making my family proud is something I want to do. Last season my target was to score a goal at every game but I did not live up to that so this season it is just to become the top goal scorer in the league and help my team to victory. Also, I hope to become the most outstanding player in this year’s SSFL. Spey­side's stroll to the win­ning spot in the To­ba­go Zone of the Cham­pi­onship Di­vi­sion of the Sec­ondary Schools Foot­ball League (SS­FL) was boost­ed by a de­ci­sion of the To­ba­go arm of the SS­FL's dis­ci­pli­nary com­mit­tee to award them three points and as many goals last week. The rul­ing came last week af­ter Pen­te­costal Light and Life failed to pro­vide se­cu­ri­ty per­son­nel at a match its host­ed three weeks ago against Spey­side, but re­sult­ed in the match not be­ing played. Pen­te­costal and Light and Life, a pri­vate ed­u­ca­tion­al in­sti­tu­tion, could not ho­n­our its com­mit­ment to pro­vide at least three se­cu­ri­ty per­son­nel at the match venue. The rule of the SS­FL states that schools are to pro­vide ad­e­quate se­cu­ri­ty of­fi­cers at its home match­es, which in­cludes ei­ther po­lice, any type of se­cu­ri­ty of­fi­cers, or of­fi­cers of gov­ern­ment's Na­tion­al Main­te­nance Train­ing and Se­cu­ri­ty Com­pa­ny Lim­it­ed (MTS). The rule al­so states that among the three of­fi­cers, one is ex­pect­ed to be pre­cept­ed, which means hav­ing the au­thor­i­ty to car­ry a li­censed firearm. The school's (Pen­te­costal Light and Life) in­abil­i­ty to pro­vide this, how­ev­er, led to the in­volve­ment of the league's dis­ci­pli­nary com­mit­tee which took ac­tion. Guardian Me­dia Sports un­der­stands that the school could not se­cure the ser­vices of MTS per­son­nel, which is used at all sec­ondary schools across T&T. Syan­dene Black­man-Walsh, sec­re­tary of the To­ba­go arm of the SS­FL said her com­mit­tee is set to ad­ju­di­cate on an­oth­er mat­ter in­volv­ing Spey­side, which could po­ten­tial­ly hand the 2017 To­ba­go cham­pi­ons an­oth­er three points, in its pur­suit of claim­ing the zone ti­tle for the sec­ond time in two years. This time the mat­ter in­volves Sig­nal Hill's in­abil­i­ty to change its uni­form as the home team dur­ing a home clash with Spey­side. Sig­nal Hill, a sea­soned cam­paign­er in the schools league was un­able to meet the rule re­quire­ments which states the host team must change if there is a clash of uni­form colours. It is un­der­stood that Sig­nal Hill of­fi­cials did com­mu­ni­cate with Spey­side be­fore the match pro­gramme in­form­ing them about their predica­ment. How­ev­er, Spey­side still sought to trav­el with one uni­form which re­sult­ed in a clash of colours pre­vent­ing the match from be­ing played. The re­sults ac­ti­vat­ed the zone's dis­ci­pline com­mit­tee which will rule any­time. The Big Five play­off among the win­ning Cham­pi­onship Di­vi­sion teams be­gins this af­ter­noon, but the To­ba­go zone is set to be de­cid­ed to­mor­row. A mouth-wa­ter­ing con­test is ex­pect­ed be­tween Pre­mier Di­vi­sion lead­ers of the Sec­ondary Schools Foot­ball League (SS­FL), Pre­sen­ta­tion Col­lege of San Fer­nan­do and fourth-place Trin­i­ty Col­lege (East) at Hen­ry Street, Arou­ca this af­ter­noon. On Sat­ur­day, the SS­FL post­poned its pro­gramme be­cause of the in­clement weath­er con­di­tions that ad­verse­ly af­fect­ed the en­tire coun­try. How­ev­er, to­day the league leader is ex­pect­ing a tough fight from a team that rarely los­es at home. On­ly last week Pres coach Shawn Coop­er said his troops will not be tak­ing any team for grant­ed, par­tic­u­lar­ly when they are play­ing away. How­ev­er, the T&T se­nior Women's coach will be hop­ing his de­fence re­mains tight and lim­it its er­rors. "Every team will be com­ing to beat Pre­sen­ta­tion, which is why we will be tak­ing each school, one game at a time." Ac­cord­ing to Coop­er, "Trin­i­ty is al­ways a team to be reck­oned with at home and there­fore we will ap­proach them care­ful­ly, in search of full points game." Trin­i­ty Col­lege has lost on­ly once at home this sea­son, a heart-wrench­ing 0-1 purg­er to San Juan North, but yes­ter­day coach Michael Grayson said his team will be go­ing af­ter full points in an at­tempt to climb the 15-team stand­ings. "At this point in the sea­son, every game is a big game. There are no easy match­es now as teams are try­ing to ei­ther im­prove their stand­ings, to ei­ther avoid rel­e­ga­tion or en­sure they fin­ish on the up­per part of the ta­ble. We want to go up the stand­ings, so we will be tak­ing each game one step at a time," Grayson said. Sec­ond place San Juan North Sec­ondary will trav­el to St Au­gus­tine, in its ef­fort as they try to take the lead for the first time this sea­son. Like Pres, the San Juan boys are on 25 points due to an in­fe­ri­or goal dif­fer­ence and would be hop­ing to clob­ber their op­po­nents this af­ter­noon, and hope that Trin­i­ty East can hold off their coun­ter­parts. Trin­i­ty Mo­ka which is fourth on the stand­ing will jour­ney to Port-of-Spain to face East Mu­cu­rapo at Fa­ti­ma Col­lege, grounds while Queen's Roy­al Col­lege will host St Bene­dict's Col­lege, in des­per­ate pur­suit of vic­to­ry in the team's ef­fort move from its 10th po­si­tion. Coach Nigel Groves­nor and his pro­tege Ken­wyne Jones be­lieve the team's cur­rent po­si­tion does not re­flect the type of foot­ball be­ing played and will, there­fore, be ea­ger to climb the lad­der with a vic­to­ry to­day. All match­es be­gin at 3:40 pm. Mean­while, the ac­tion al­so be­gins in the Cham­pi­onship Di­vi­sion Big Five play­off with North Zone win­ners Mal­ick Sec­ondary fac­ing cen­tral champs Ch­agua­nas North at St Mary's Col­lege Ground at 3:30 pm, while at the Man­nie Ramjohn Sta­di­um in Mara­bel­la, east­ern­ers Holy Cross Col­lege will be up against Pleas­antville Sec­ondary at the same time. WATCH: St. Augustine Secondary halts San Juan North Secondary's unbeaten run with a 4-1 win over the “Bourg Mulatresse Boys”. Kesean St. Rose led the Green Machine with a brace, with contributions by Rivaldo Coryat and Dorian Simpson. San Juan's lone item was scored by Jerry Morris. San Juan's keeper looks a lil rusty. Maybe from not being challenged match after match? Riley keeps Pres on title repeat course. Jor­dan Ri­ley fired in the lone goal as de­fend­ing cham­pi­ons, Pre­sen­ta­tion Col­lege of San Fer­nan­do edged Trin­i­ty Collge East 1-0 to move in­to a three-way lead at the top of the Shell/First Cit­i­zens Sec­ondary Schools Foot­ball League Pre­mier Di­vi­sion, yes­ter­day. Ri­ley got the de­ci­sive item in the close­ly fought con­test in the 34th minute for a ninth win in ten match­es for 28 points, three clear of for­mer joint lead­ers San Juan North Sec­ondary, which was sur­pris­ing­ly van­quished 4-1 at East Zone ri­vals, St Au­gus­tine Sec­ondary. The ‘Green Ma­chine’ of St Au­gus­tine stormed in­to a 3-0 half-time lead with key man, Ke­sean St Rose scor­ing twice in the ninth and 45th minute while Ri­val­do Cory­at net­ted in the 39th. Jer­ry Mor­ris pulled a goal back for San Juan in the 50th, but Do­ri­on Samp­son net­ted the fourth item for St Au­gus­tine in the 78th minute to kill off the con­test. In oth­er match­es, St An­tho­ny's Col­lege slipped past Fa­ti­ma Col­lege 1-0; Cara­pichaima East whipped St Mary’s Col­lege 3-1; Trin­i­ty Col­lege Mo­ka bat­tled past East Mu­cu­rapo 1-0; Queen’s Roy­al Col­lege blanked St Bene­dict’s Col­lege 3-0, and Bish­op’s High and Va­len­cia Sec­ondary drew 1-1. Trinity College East (4-2-3-1): 1.Khalil Oliver (GK); 4.Randy Jackson (captain), 19.Kerdell Sween, 2.Stephan Hoyte, Daniel Lake; 12.Daejean Windsor (11.Jarved Elcock 55), 8.Isaiah Williams; 7.Tyrique Sutherland (10.Terrell Wiley 60), 17.Christian Ransome, 14.Micai Peters (21.Matthias Hinkson 35); 9.Jaden McKree. Unused Substitutes: 27.Nicholas Thomas (GK), 6.Jaheim Faustin, 13.Triston Solomon, 23.Kishaun Charles. Presentation College (San F’do) (4-4-1-1): 28.Jabari Gray (GK) (captain); 3.Juaval Roberts, 5.Justin Cornwall, 27.Darnell Hospedales, 2.Zion Allen; 10.Jordan Riley, 15.Aleem Barclay, 12.Jerrin Jackie (20.Shakeem Julien 50), 9.Jaiye Sheppard (29.Jardel Sinclair 84); 6.Ackeel Jacob; 7.Omri Baird. Unused Substitutes: 1.Isaiah Williams (GK), 13.Markus Mason, 14.Tylon Roseman, 18.Nkosi Charles, 22.Amaal Julien. Pres extend lead in Premier Division. PRESENTATION San Fernando have extended their lead over second- placed San Juan North to three points, after yesterday’s slate of matches in Round 12 of the Secondary Schools Football League (SSFL) Premier Division. Presentation San Fernando notched their ninth win in 10 matches after defeating Trinity East 1-0 in Trincity. Jordan Riley got his name on the scoresheet, in the 34th, to secure full points for the 2017 title-holders. San Juan’s unbeaten start to the season ended when they suffered a 4-1 beating by hosts St Augustine. Keshawn St Rose scored a double, in the ninth and 45th minutes, while Rivaldo Poyet and Dorean Sampson chipped in with one apiece, in the 39th and 78th minutes. Jerry Morris netted the consolation, in the 50th. Naparima, who were on a bye yesterday, remained in third spot. Trinity Moka jumped two places to fourth after earning a 1-0 victory over East Mucurapo at the Fatima ground, Mucurapo. Josiah Wilson found the back of the net for the visitors, in the first half. Another team who earned a 1-0 win were St Anthony’s. Haile Beckles scored in the 79th minute to hand the hosts full points against the struggling Fatima at Westmoorings. St Mary’s miserable season continued when they fell to a 3-1 defeat to Carapichaima East, at Carapichaima. In a clash of mid-table teams, QRC brushed aside St Benedict’s 3-0 at the QRC ground in St Clair, and bottom-placed Bishop’s High and visitors Valencia played to a 1-1 draw. Round 13 games will be staged on October 27. WATCH: Leaders Presentation College San Fernando opened up some daylight on second-placed San Juan North when they edged Trinity East 1-0 on a goal by Jordan Riley. WATCH: The Presentation College Lions aim to defend their Premier Division title in style and are hungry for additional silverware… Host James Saunders speaks to coaches Shawn Cooper and Dunstan Williams, players Jordan Riley and Jaiyé Sheppard and principal Dexter Mitchell. Speyside wins title in protest room. Spey­side Sec­ondary re­ceived an­oth­er three points and as many goals from the protest room that con­firmed the school as cham­pi­ons of the Cham­pi­onship Di­vi­sion of the Sec­ondary Schools Foot­ball League (SS­FL), To­ba­go zone on Wednes­day. The school, Pre­mier­ship Di­vi­sion cam­paign­ers in 2015 and 2017, was award­ed the win by the dis­ci­pli­nary com­mit­tee of the To­ba­go arm of the SS­FL, af­ter Sig­nal failed to pro­vide a change of uni­form dur­ing a match three weeks ago, al­though they were the home team. The rule of the SS­FL states clear­ly the home team usu­al­ly changes its uni­form in the event of a clash of colours. Sig­nal Hill had just one uni­form and at­tempt­ed to en­gage in a gen­tle­man's agree­ment with Spey­side for the en­counter. How­ev­er, Spey­side man­ag­er Ker­ry Lynch said he nev­er agreed to change his cus­tom­ary green and yel­low uni­forms, as he could not have lo­cat­ed all his back­up kits for the match. He told Guardian Me­dia Sports that he com­mu­ni­cat­ed this to Sig­nal Hill of­fi­cials but it was ig­nored. On­ly last week Spey­side re­ceived three points and goals af­ter Pen­te­costal Light and Life failed to pro­vide prop­er se­cu­ri­ty at a game with them. The match was even­tu­al­ly aban­doned, and the dis­ci­pli­nary com­mit­tee ruled that the pri­vate ed­u­ca­tion­al in­sti­tu­tion breached the rules of the SS­FL. With the two rul­ings, Spey­side earned six valu­able points which en­abled it to fin­ish ahead of sec­ond place Ma­son Hall Sec­ondary as the zone win­ner. Spey­side will now face Mal­ick on Tues­day in its open­ing match of the Big Five play-off at St Mary Col­lege Ground. The top three teams will qual­i­fy for next year's pre­mier di­vi­sion. Lynch said his team was twice boot­ed out of the top flight school's league be­tween 2015- 2017, but now he wants to re­turn and stay among the top teams. He said he does not know much about Mal­ick Sec­ondary, but he's con­fi­dent in his team, which com­pris­es a blend of in­ex­pe­ri­ence and sea­soned cam­paign­ers, such as Aminik­ki Richards, Ronal­do Samuel who came in from Sig­nal Hill this year, Ronal­do Al­leyne and 15-year-old Nicholas Sanchez, whom he de­scribed as a play­er for the fu­ture. It's a race to the fin­ish now for lead­ers Pre­sen­ta­tion Col­lege (San Fer­nan­do) in the Pre­mier Di­vi­sion of the Sec­ondary Schools Foot­ball League (SS­FL) with four more round of match­es to play. Un­beat­en 'Pres' as the team is com­mon­ly called, will take on low­ly Fa­ti­ma Col­lege at the Man­ny Ramjohn Sta­di­um, Mara­bel­la from 3:40 pm. The south­ern­ers are fresh from a 1-0 tri­umph over dif­fi­cult cam­paign­ers at home- Trin­i­ty Col­lege East at Arou­ca on Wednes­day and will fan­cy their chances this af­ter­noon in­side their own back­yard. Fa­ti­ma has strug­gled to find its form this sea­son and found it­self in the rel­e­ga­tion zone. If the team failed to se­cure much-need­ed points in the re­main­ing four match­es then next sea­son could see the Mu­cu­rapo road school cam­paign­ing in the cham­pi­onships di­vi­sion. 'Pres' on 28 points af­ter 10 match­es, a mere three points ahead of the team's clos­est chal­lengers San Juan North Sec­ondary, whose un­beat­en run for the sea­son was snapped by St Au­gus­tine ear­li­er this week, re­mains in the ti­tle hunt. The San Juan boys, how­ev­er, are still in the sec­ond po­si­tion with 25 points and will need to win against third on the stand­ings Na­pari­ma, at home. A bye this week kept Na­pari­ma on 22 points for the past two round of match­es, but coach An­gus Eve and his troops will be fac­ing the game of their lives. Like Trin­i­ty Col­lege East, the San Juan lads are dif­fi­cult con­tenders at home, but to­day they will at­tempt to up the ante, af­ter Wednes­day's de­mor­al­is­ing re­sult in Srt Au­gus­tine. All match­es be­gin at 3:40 pm. From the highlights I can’t say he looked rusty. I saw good finishing from the Green Machine and poor positioning from the keeper. Barclay rescues "Pres" with a draw. Aleem Bar­clay scored a late equalis­er to keep Pre­sen­ta­tion Col­lege of San Fer­nan­do on track to claim the Pre­mier Di­vi­sion ti­tle of the Shell/First Cit­i­zens Sec­ondary Schools Foot­ball League (SS­FL) af­ter be­ing held to a 2-2 draw with Fa­ti­ma Col­lege yes­ter­day. The ac­tion un­fold­ed at the Man­ny Ramjohn Sta­di­um, Mara­bel­la and it was Bar­clay's 76th-minute item that saved "Pres" from go­ing down to the 13th-place team on the stand­ing. Pre­sen­ta­tion, which en­tered the in­tense af­fair with nine wins and a draw un­der its belt, set the tone ear­ly and got the open­ing goal from Jor­dan Ri­ley in the sec­ond minute. De­spite be­ing down 1-0 ear­ly, Fa­ti­ma did not fade and stepped up de­fen­sive­ly, while keep­ing the leader of the di­vi­sion in check for the bal­ance of the first half while in pur­suit of the equalis­er. How­ev­er, the host went in­to the dress­ing room with a 1-0 lead. On the re­sump­tion though, the Fa­ti­ma team was able to draw lev­el with a 48th-minute item thanks to Mikhail Mc­Comie, who was on tar­get from the penal­ty spot. He re­turned some sev­en min­utes lat­er to put his team up 2-1. The Fa­ti­ma boys held on for much of the sec­ond half un­til Bar­clay came to the res­cue with the equalis­er in the 76th minute, 2-2. The scores re­mained un­changed when time ex­pired. Fa­ti­ma stays in 13th spot with eight points from 12 match­es, which com­prise two wins, two draws and eight loss­es, while "Pres" kept its un­beat­en streak in­tact and moves to 29 points af­ter 11 match­es, four points ahead of the team’s clos­est chal­lengers San Juan North and Na­pari­ma, which pulled off a 3-2 win over San Juan in a match played in Bourg Mu­la­tresse. De­spite both teams hav­ing 25 points, Na­pari­ma re­places San Juan in sec­ond place due to a bet­ter goal-dif­fer­ence, 13 com­pared to nine af­ter 11 rounds of match­es for each team. "Naps" record reads - sev­en wins and four draws, while third-place San Juan has eight wins, a draw and two loss­es. In oth­er match­es, Akeil Vesprey net­ted the lone item in the third minute to help Cara­pichaima edge the vis­it­ing St An­tho­ny's Col­lege, 1-0; Zion McLeod and Ki­dane Lewis scored in East Mu­cu­rapo's 2-1 vic­to­ry over St Au­gus­tine at Fa­ti­ma grounds; St Mary's (CIC) whipped Bish­op's High, To­ba­go, 4-0 at CIC grounds; and at Ari­ma North Sec­ondary grounds, St Bene­dict's topped Va­len­cia, 3-2. ‘Naps’ win but ‘Pres’ remain on top SSFL Prem. PRESENTATION College of San Fernando dropped points for only the second time this season but maintained their lead at the top of the Secondary Schools Football League (SSFL) Premier Division standings yesterday following a 2-2 home draw with a struggling Fatima College. Presentation took the lead through Jordan Riley who struck in a volley from a Jaiye Sheppard cross. The defending league champions, however, conceded twice before salvaging a point by means of an equaliser from Aleem Barclay in the 76th minute. Fatima College got both their goals from Mikhail McComie who scored a penalty in the 48th and the other in the 55th minute. Their draw coincided with a 3-2 win for Naparima College, which propelled them into second place at the expense of San Juan North Secondary, who they defeated 3-2. Meanwhile, Keon Boney scored a winning goal three minutes into injury time to see St Benedict’s College to a dramatic 3-2 win over Valencia Secondary. It was a heartbreaking result for Valencia, who rallied to equalise from a 2-0 deficit, only to lose all three points at the death. In other results, Carapichaima East Secondary moved into fourth with a 1-0 win over an inconsistent St Anthony’s, while Trinity College East and Trinity College Moka played to a 1-1 derby draw. St Mary’s College were the only successful team from the North, securing a much needed 4-0 win over Bishop’s High of Tobago. Thanks for sharing that. RIP, young baller. Condolences to his family. RIP. God Bless! Rusty as in "not sharp". Playing the Green Machine was San Juan North's 10th match of the league and having read of their successful march through the rounds, I expected to see a goalkeeper that looked as if he was playing his 10th match of the season and I expected to see a GK who looked up to preserving San Juan's title fight after having dropped points against Moka. I didn't see that. I saw errors I didn't expect to see for a team positioned at the top of the table. There is no question that good finishing is on display and there is no question that poor positioning is in evidence. However, a look at the finishing sometimes credits the attacker completely and to an extent removes the microscope from the goalkeeper or divests responsibility from the GK. Putting the penalty aside (from the available angle, Coryat's penalty was excellent), the goals that stimulated my comment were #1 and #3, where issues other than physical positioning show (his body shape, he never gets set, his hands, not influencing the attacker ... struck me as too casual for a title defence ... so too his body language after. The 4th goal is a certain decision-making and positional nightmare. BUT, reviewing the record, I see that San Juan has not been commanding the landscape as I thought based on points accumulated. Valencia troubled them in the opening round and were unfortunate not to head out with a point after a couple shots San Juan's keeper knew nothing about. Bishop's slotted 2 goals past them and San Juan's keeper's positional issues are in evidence versus Carapichaima. All very encouraging stuff for Pres when the time comes. A com­mand­ing per­for­mance from Bish­op Anstey High School East led by Lil­lian Selvon, helped the school qual­i­fy for the Girls Cham­pi­onship Di­vi­sion "Big Five" com­pe­ti­tion in the Shell/First Cit­i­zens Sec­ondary Schools Foot­ball League. To­day, the East Zone cham­pi­on will be look­ing to keep that mo­men­tum when it faces To­ba­go cham­pi­on Sig­nal Hill, who will have home ad­van­tage in the semi­fi­nal match set to kick off at 3 pm. On Thurs­day, three goals from Selvon saw Bish­op East to a com­fort­able 7-0 win over hosts St Au­gus­tine on Thurs­day evening to be crowned the zon­al cham­pi­on earn­ing them the right to play in the "Big Five". Her team­mates Christi Ann Woods and Tyan­na Williams each added a pair of goals in the lop­sided af­fair that pushed Bish­op East to the head of the ta­ble with 25 points from 10 match­es from eight wins and two loss­es. The same as new­com­er Five Rivers Sec­ondary, who held the top po­si­tion for much of the sea­son but slipped to the sec­ond spot as Bish­op East had a bet­ter goal dif­fer­ence, plus-37 com­pared to it's plus-32. Sig­nal Hill booked its spot af­ter a 3-0 win over Spey­side High on that evening. Ce­line Lo­raine came good once more for Sig­nal Hill with a dou­ble while her team­mate Dil­lea­sia Nichol­son net­ted the oth­er. In the lone quar­ter-fi­nal match on Thurs­day af­ter­noon, North win­ner Bish­op Anstey Port-of-Spain was beat­en by Cen­tral cham­pi­on Cara­pichaima East, 4-2. Cara­pichaima now moves on to play South win­ner Pleas­antville Sec­ondary in the semi­fi­nal round to­day at the Man­nie Ramjohn Sta­di­um in Mara­bel­la from 3 pm.